End Date: April 14, 2019, 5:30 p.m. Anyone ( MIS Executives, Managers, BPO professionals, Finance professionals, sales or marketing verticals, Entrepreneurs, Top management executives, MBA Professionals, HR personnels etc.) 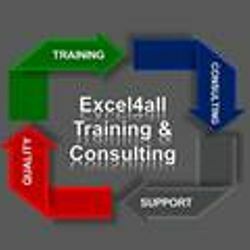 who wants to learn VBA and Macro Programming In excel to automate their repetitive task and like to enhance their productivity by making some Process Improvements.The workshop will give an edge to your learning curve. Payment of INR 1800 has to be made in advance (Online) for confirm reservation of slot and rest INR 4700 can be paid by cash on day 1 of the training.